Have you found a perfect place to display it yet? How much did that go for? That's awesome. I won a signed KE#4 jersey. My favorite player. Event was a total blast. 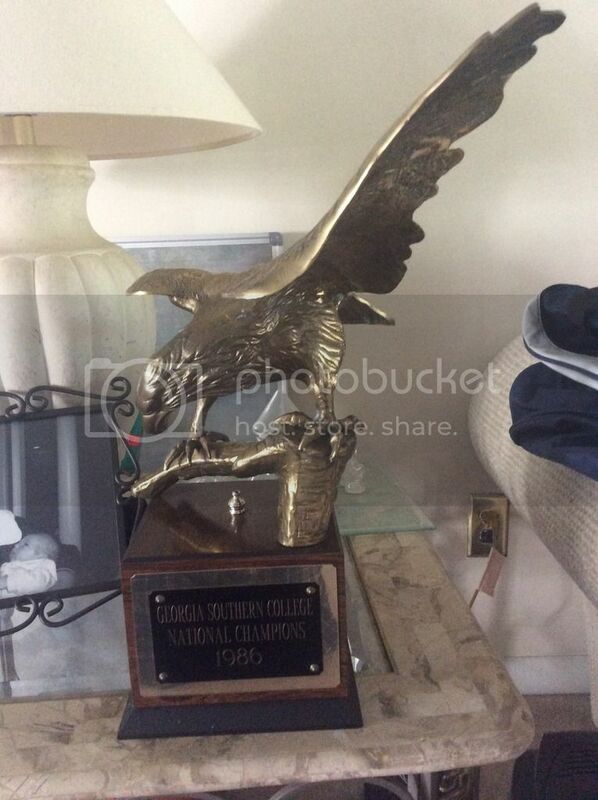 Who issued that national championship trophy? probably issued from Wifesaver or maybe the electric kangaroo? Ahhhhhhh Wifesaver I loved that place! put them in that room where you check my eyeballs out!